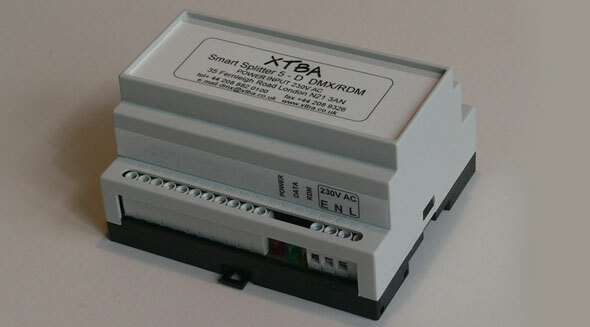 The XTBA Smart Splitter 5D/RDM is a single input, five output DMX and DMX-RDM data splitter. Opto isolation is provided between the input and the five outputs. 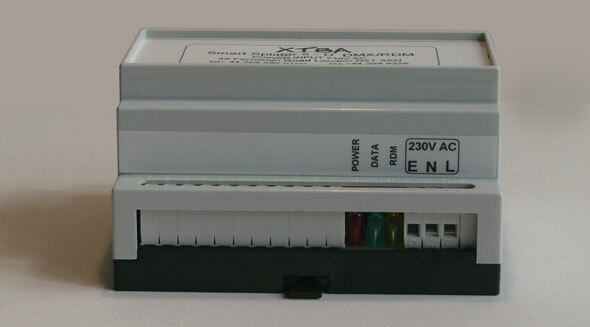 Mains powered (or low voltage DC for LED systems) and housed in a D case for compact installations. Along as being a standard DMX splitter the 5D/RDM is a fully functional RDM splitter allowing the distribution of RDM requests and responses from its 5 outputs and input. A potential problem with RDM is that any short or overload on any responder can cause the entire RDM system to fail. The 5D/RDM will monitor the five outputs and block any shorted or overloaded outputs thus protecting the network. The 5D/RDM monitors all RDM traffic and will block incorrectly formatted request messages. As well as distributing RDM traffic the Smart Splitter 5D will function as a RDM device itself. So it is discoverable and can have its personality set, labels changed, comms status checked and supply information about itself. The splitter has three personalities set via RDM. Standard RDM splitter. 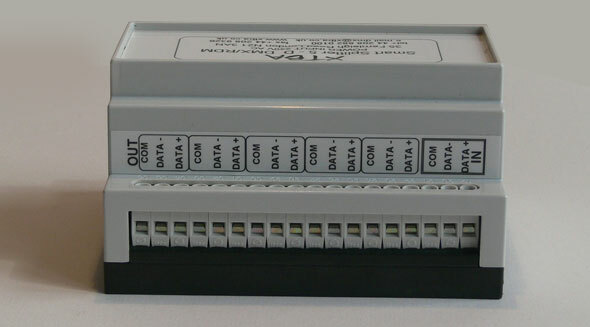 Clean Port, in which output 1 will remove all RDM requests to allow legacy DMX equipment to be connected so RDM data is not confused with DMX level data. Clean Up All in which all RDM data is removed from the outputs. Displays for Power and Overload via the red LED. RDM data via the yellow LED and data in and input error via the green LED. The 5D will also display status and errors on power up via the LEDs.